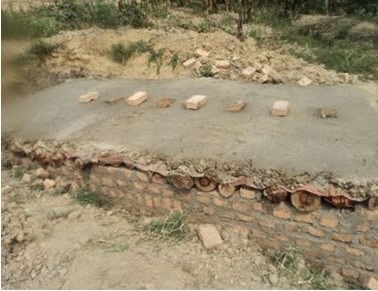 Edwina Public Primary School located in Rakai Town Council, Rakai District has been without a pit latrine since March 2012 after the only available pit latrine that was used by children and teachers became full and sunk in. 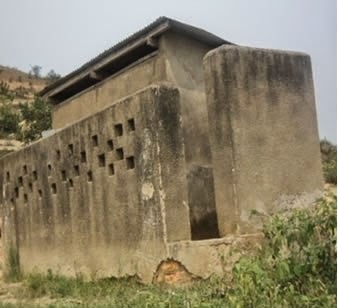 The lack of a pit latrine quickly became a very big problem; pupils started defecating in nearby bushes and households. In 2011, RACA had established a Child Rights Club (CRC) under the IDF funded Rakai Community Based Rights Project at Edwina Public Primary School to empower children with knowledge and skills to help them address violations to their rights. Members of this club became very worried. They and other pupils at the school were finding it very difficult to concentrate in class due to the stench They also realized the danger this posed to them and other pupils, as well as the nearby community; a possible cholera outbreak. During one of their weekly meetings, it was agreed that they needed to take action. They arranged a meeting with the school authorities and voiced their concern over the matter. The school in return organized a meeting with the parents to discuss the challenge. By the end of the meeting parents resolved to contribute towards the construction of a new pit latrine. Construction work was started in 2014. With the establishment of the CRC in Edwina Public Primary School, members of the club have proven to be instrumental in fostering positive change at the school and creating a friendly school environment free from corporal punishments.